Latvia’s south-eastern region, Latgale, has long been the subject of discussion and misunderstanding – distinct from the rest of the country in terms of language, religion and customs (and, according to many, temperament), Latgalians nonetheless consider themselves firmly Latvian. Famed for its natural beauty – it is known often in Latvia as “the land of lakes” – it is also the poorest region of Latvia (and the Baltic states as a whole), with an unemployment rate of over 19%, compared with a national average of around 9%. It has been the subject of fevered speculation in recent months, due to Russian aggression against neighbouring countries; some commentators see Latgale, culturally distinct from the rest of Latvia and with a high Russian-speaking population as prime for a Russian intervention – it’s even been described as “Latvia’s Crimea“. Deep Baltic has published a number of articles touching on Latgale over the last few months, so we thought it was time to give the region a voice of its own. Native Latgalian speaker Juris Viļums, a representative of the Alliance of Regions (Reģionu alianse) political party and among the most outspoken Saeima [Latvian parliament] deputies on Latgalian issues, joined fellow Latgalian Mārtiņš Mežulis and Deep Baltic editor Will Mawhood in a cellar bar in Riga to discuss all things Latgale. This interview has been edited for reasons of grammar and space. So where in Latgale are you both from? JV: Dagda region. Near the lake with the biggest number of islands, Ežezers. Really countryside – it’s not Rēzekne and not near to Daugavpils either. MM: I’m from Rēzekne County. Near Malta, somewhere around there. 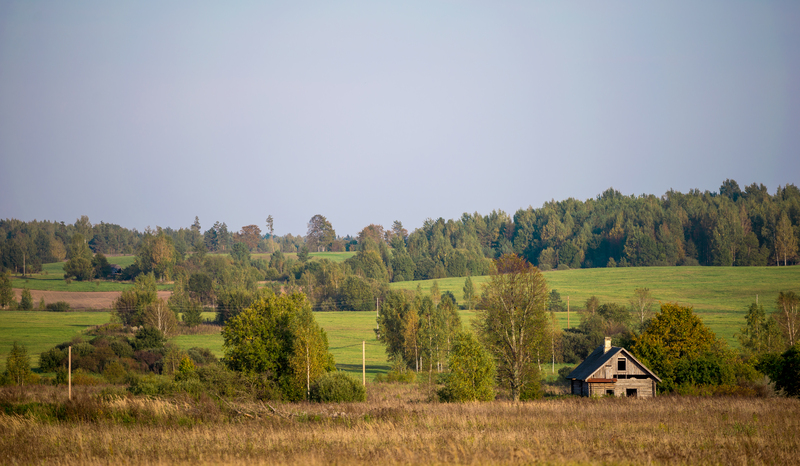 What do you feel is distinctive about Latgale, compared to the rest of the country? What specific differences are there? JV: What specific differences? Well, I can try to say it in this way: we are more open to new ideas. JV: There are many reasons. I think one of them is that we have some cultural differences between Latgalians and other Latvians. We really have problems with employment, but I think we have quite a lot of people who will be ready to work. (Turning to colleague) Maybe you have some ideas about why we are better than other Latvians? MM: I don’t think that we are better. But I think that one thing that is definitely true is that people in Latgale have been exposed to the widest variety of cultures historically. Before the Second World War, for instance, most of the townsfolk were Jewish, and we were part of the Polish-Lithuanian Commonwealth, also Russian influences. And even those divided into the Old Believers and the newer Russians – people who came more recently. So you have to be more open and more tolerant, and this creates this acceptance and maybe makes people feel more open compared to the rest of the country. The impression I get when I’ve been in Latgale, which was why I thought that this BBC programme [Inside the War Room, which focused on the possible British reaction to pro-Russian riots in Daugavpils followed by a Russian attack on Latgale] was so inaccurate, is that the relations between the different ethnic groups are actually quite a lot better than in Riga or in Liepāja or other cities. I don’t know if that’s the case, but that’s my impression. JV: The thing which I always say is that we can find easier contact with Russians or Belarusians or even Ukrainians, because we’ve been living as neighbours for centuries. What about for you: do you feel primarily Latgalian or primarily Latvian? Does one of them come first? JV: Both. I am Latvian and Latgalian. If someone says I am Latgal – because that was a tribe from many centuries ago – OK. If you want to call me a Latgal – no problem. Latgale highlighted on a map of Latvia. But I noticed on your Twitter account, for example, all of the tweets are in Latgalian. Are you doing that for a specific reason? JV: Yes. I thought to myself when I started it – it was, I think, in 2009 – I thought that I would write tweets just in Latgalian. I made this decision at the beginning – and that’s it. Why? There are many reasons. One of them are: why should I always think how to write in the literary variety of Latvian? This [Latgalian] is my first language; it’s the language I think in, so I write in it. If you want to know what I’m thinking about, no problem – read. If you don’t understand some words, please ask; I will always explain. This is as well some kind of, I can say, mission, because this is a way by which I can step by step involve other Latvians to understand something about Latgalians, rather than just saying simple things like “oh, you are a separatist. You don’t think about our nation; you are thinking just about yourselves” and blah blah blah… We should step by step somehow minimise this. What reaction have you had to that? Have people said “I don’t understand what you’re saying”? JV: You know, now I have one thousand and seven hundred and something followers, so that means they like what I’m doing – or at least they are interested in it. Yes, you know, I’ve had some comments: “why are you writing that way?” But usually I answer in the same way I told you: “which words don’t you understand? I will be happy to explain to you.” But I always try to escape conflicts, because I don’t need them. I suppose most people can understand most of it – because it is very close to Latvian? JV: Of course, of course. There are maybe a few words that are specific. What would be an example of a specific Latgalian word that doesn’t exist in Latvian? JV: Sipisnīks, yeah, which is cottage cheese. So that would be biezpiens in Latvian. JV: Yes, biezpiens in Latvian. Even šmakovka – which we were talking about. We have kļocka. OK, that has has Slavic roots. JV: It’s a dish. Even “vasals” – we use as hello. In Latvian vesels is, “health”, right? JV: Yes, but we use it as hello, goodbye and even cheers. I say to people, we have the unique word “vasals” which has six meanings – hello; goodbye; healthy – as you know already; bless you. The fifth one is all one, not separated – a whole; and the last one is “cheers”. You talked about the negative economic situation compared to the rest of Latvia, and the unemployment figures are much higher compared to the other regions. Why is that, do you think, originally? So you mean the whole of Latvia is one region? MM: For the purposes of European planning, yes. JV: And for funding, we are one region. And this is one of the mistakes which we made ten years ago. Because of course the situation in Latgale region and in other regions as well is different from in Riga and, for example, 50 or 100 kilometres around Riga. It’s one country, one situation, one economical situation. So you’re saying that the money is spent more on Riga than on areas that need it more? JV: Not just Riga. I studied regional economics and this is my topic which I am talking about all the time. But I think that we should establish real regions. The first way is to establish those regions which we have even in our constitution – Latgale, Vidzeme, Zemgale, Kurzeme. If we can find some ground to establish bigger regions – like West Latvia and East Latvia – OK, we can do it. But we should establish these regions, because then we can solve these problems which are very, very similar in many municipalities, of which we have now 119 in Latvia. That’s not a level at which you can solve problems. Because the number one level is the state level – but it’s too high to see these problems and provide some instruments to solve them. What do you think, because I get the impression you’re saying that the media coverage is very bad, that there are misperceptions – people misunderstand the situation in Latgale? What do you think they misunderstand in particular? JV: Because they don’t have enough information, they are just believing stereotypes. In Latgale, people are just drinking – you know, šmakovka [home-brewed spirits] – they don’t have electricity. You know, some very silly things. Oh, and that in Latgale there are living just Russians, who want to join the Russian Federation, or something like that. And OK yeah, Latgalians are singing a lot and are popular musicians. So we are trying different ways to explain and to say that we are also Latvians. We have had good experiences and not-so-good experiences. What do you feel about this special economic zone for Latgale? This is 19 novadi [districts] and two cities. Do you think this is a step in the right direction? JV: Yes, but a little bit too late. I hope that we will have some results from this, but I’m not very optimistic about it. Because the main thing that we will get from this special economic zone is that we got this 50 million of investment for four or five years, which is good but it’s not enough. Because, come on, it’s a big region – 50 million, not for one year but for many years. If you are competing with some projects which we have here in Riga – OK, the National Library [in Riga] is good, and I don’t remember the expenses but it was higher. So any other projects – if you look at one building that is here in Riga, it is bigger than the whole of the Latgale region for many years. So a special economic zone means obviously that people are being encouraged to invest and start up companies and so on. What do you think is the potential for Latgale for outsiders? Why should it be attractive for them? I just can find some slogan now – “Latgale is the land of the future” or “the land of choices” or “land where you can implement your ideas” or “land with open-hearted people”. Sometimes as well we say about Latvia, that our system and our state is not so old that every field is already filled up like in Old Europe. Here it is still an open field where you can look for ideas. What’s an advantage to doing it in Latgale rather than in Riga? JV: I think the best way is to ask, for example this investor I have seen in Rēzekne, why he’s there and how he sees now that it was a good [decision]. JV: From Britain, but I don’t know where. JV: It makes granules for heating. And that’s a successful company, is it? JV: Yes, I think so, yes. MM: Yes, when things with Russia were more or less OK, they were doing all these logistics to Afghanistan via Russia, so that’s also an opportunity. One of the stereotypes is that if you talk about “eastern regions” – you say eastern, and that means Russia or something. But if you look at the map, you see that it is a crosspoint – you have Lithuania, actually Vilnius probably is closer to Daugavpils and Rēzekne than Riga; if you look north, the south of Estonia it comes down – it’s not far away. So its geographical position could be very favourable? JV: Yes. I agree with what he said. And every weekend, we can see how many people are going from Riga to Latgale region. So I know a lot of my friends who have said – and not just said – that if there were jobs there they would move there, because they had still their own homes, they had their families and other things. JV: Yes, Latgalians. Basically Latgalians, because they were born there. MM: This is the other thing that creates these stereotypes, because whenever there are elections and a certain result comes out, which is usually unfavourable to so-called national view. The thing is and me and Juris are the great example, and a rather serious number of the youngest and brightest they move away but they stay registered there. Whenever an election comes, our system is such that you can’t vote on those lists by post in Latgale – you have to vote where you are. So even those Latgalians who in great numbers live in Riga or other districts, they can’t impact the vote back there. This comes back to these disadvantages. One thing is infrastructure; if that was solved more or less then it would be different. Do you think the infrastructure is worse in Latgale than in other parts of Latvia? Latgale was the only part that voted in favour, I think (of making Russian an additional official language)? JV: Not all Latgale – there was Daugavpils [a city where the majority was in favour]. It depends on what part. I wanted to ask a bit about the language. At the moment it’s recognised as a variant of Latvian. It’s not recognised as a different language or an official language; it’s not taught at schools. JV: On a voluntary basis, people can always try it. Are you in favour of the current situation or do you think it should change? JV: It should change, of course – that’s why I came into politics. But we can’t say that it’s really a different language from Latvian. That’s difficult, because then we should change the whole system for scientific work for the last hundred and more years. Because scientists think that [the Baltic languages are] Lithuanian, Latvian and Prussian (which is not alive anymore) – so we have just two Baltic languages, basically. If we separate Latgalian, we would have three Baltic languages. JV: (Laughs). Exactly. I don’t know. If you ask me, I don’t see a big problem. But I think the scientists will not be happy. But basically from the beginning, we have always said “’we are Latvians”. “OK, we are Latvians from Latgale region – we have our Latvian language”, and actually I don’t see a big difference how you call me – a separate nationality or a part of this nationality. Just please let’s make a system where we can keep our culture and our language – or languages or varieties of language. To be honest, I don’t care how. So from my side, I don’t think we should change that so-called system that we have one big Latvian language with two varieties, let’s just make a system. Now I have an idea to help teachers who are ready to teach anything in Latgalian – mathematics, history… I will try to find some finance to pay them a little bit extra. At the beginning, it seems that I will try to find some private finance, because from the government it will not be so easy. But it’s a start – I think it could be a way to involve teachers to teach anything in Latgalian. Because it is allowed. If we look at our laws, there is no place in the Latvian state where you can’t use Latgalian language. Even in the Latvian Parliament with my oaths – I read them in Latgalian. At first it was “is it possible or not?” In the end, everybody understood that there was no reason to say it’s incorrect or that this is wrong. MM: I should specify a little bit. It’s no different from any other European countries – including our neighbour Estonia, having Seto or Võro. Basically within each nation of continental Europe, we have various language traditions within certain regions, so it’s no different from say Norwegian. One of them is usually chosen to be the official language for the purposes of making things easier so that everybody understands, and foreigners understand too. So this is one thing in Latvia. The other perspective is the legal perspective, which is actually pretty clear. We have the so-called language law, the state language; according to this, Latgalian is part of the Latvian language. So when you are speaking in Latgalian, legally you are speaking in the official state language – it’s not something foreign. Some people have said to me that it’s not important to teach Latgalian at school, because most people learn it from their parents and relations anyway, and the priority should be to learn Latvian, because that is how they will be able to succeed and integrate into society. What do you think about that? JV: I don’t think so, because – you know, every person should know their roots. I think every person should know their own mother language, and then when they know their roots and their mother language, they will have more self-confidence. So this is a question of what we want in this country – self-confident people or people who are ready to throw out some cultural things just for some economic reasons? Then, come on, maybe we can throw out Latvian entirely, and teach just in English. Then we’ll be more ready to beat any other nation in the world. So I think that, as Mārtiņš told already – many other nations in Europe have regional varieties – Poland, Germany, Spain, Norway, France, Italy. And this is a thing which makes us richer as a nation, and actually stronger as a nation as well. Because we will have more self-confident people. You don’t think that this could increase the sense of difference between Latgale and the rest of Latvia? JV: This is an opinion which we see quite often, but it’s a reason why I say to other Latvians ‘in Latgale, we don’t have these kinds of problems – everyone living in Latgale speaks Latgalian and the big Latvian language”. In Latgale, we understand better these differences between two types of Latvians. Here in Riga and in other parts of Latvia, they know it less well, because they don’t learn these differences at school. They know just one language – one variety of language – and they’re told this is correct and the others are wrong. This is the main problem – we should explain a little bit to those other Latvians “come on, don’t be afraid of those Latvians who are living the other side of the River Aiviekste”. Would you ever speak Latgalian in Riga, or would that be a very strange thing to do? In a shop or whatever? MM: Not any more. Maybe ten or fifteen years ago it would have been. JV: Now it’s becoming more and more popular; and not just popular, it’s becoming a normal thing. If you meet any Latgalian friend, of course you can speak in Latgalian. But actually in 2001 or something like that when I met my friend – my neighbour from my childhood – I started talking to him in Latgalian and I heard him replying to me in official Latvian, because he was a little bit shy in front of the other people. And I was so surprised. And this was one of the critical things in my life. “Come on, what is going on?” I should at least try to explain to him and to others, you don’t have to be shy about your language. MM: I think it’s also part of the Soviet heritage – and not heritage in a good way. When being different was really bad and you would want to be uniform and in sync with everybody else, and the other things were plain dangerous. If you stood out, you would automatically be targeted for something or by somebody. But as generations change, and they travel abroad… We ourselves are talking about examples – Estonia or Norway or even England. As more people do travel and they see that being in one corner of England and being in another is a different experience. And if you go outside England within Great Britain it’s even more so. JV: I just want to add that I think maybe the biggest problem that we had was the fifty years of Soviet occupation, during which actually the Latgalian language was forbidden. From 1954, it was forbidden. JV: To speak, to write, to publish anything in Latgalian – it was forbidden. Because the Latgalian language was originally banned or suppressed to a certain extent under Kārlis Ulmanis [Latvia’s authoritarian leader from 1934 to 1940], as I believe? I know originally in the first republic, they were both kind of official? JV: We don’t have documentary proof about Kārlis Ulmanis, but we see that. Everything started in 1917 when we [Latgalians] had our congress in Rēzekne, and we took the decision that we are going to go with the other Latvians, we are ready to make a common state, but we want to save our language; we want to be more or less independent to think about our economy, about our schools. JV: We want our own municipality, something like that, where we can solve our own small problems. And language – that was important. From that year until the Ulmanis regime, it became less and less and less, step by step, but we still had our Latgalian schools; we had all rights to use Latgalian language everywhere in Latgale region. MM: In the Saeima as well. Representatives spoke Latgalian. JV: Yes, that was one of the reasons why I said that I had the right to speak Latgalian [in the Saeima]. After Ulmanis became self-declared president – as I said, we haven’t seen laws or documents but those people who tried to help this regime, they really made bad things for the Latgalian language, because they threw out Latgalian books from the libraries, they threw out the language from the schools, and other things, because there was this idea – one nationality, one language. But with Ulmanis, it was just the beginning. Why do you think that was [that these actions were taken]? You were saying that Latvia is a small country – is it that the identity is threatened if there’s more than one language? MM: I would say it’s the insecurity of any authoritarian regime. Even today, opinions are divided regarding Ulmanis, but I myself do believe, and there is normal evidence, that he went after – say, chased away – the company owners who weren’t Latvian – and tried to take away from the Baltic Germans especially, and probably from other nationalities as well. So it was kind of a nationalistic, authoritarian regime, which was the case all around, sadly – apart from Finland. JV: It’s easier, come on, it’s easier – just to have one language. MM: He was obviously popular at the time; it was not so long after the independence war [1918-1919]. So it was easier to unite against the usual things – which sadly we still see in the neighbourhood. MM: It’s never gone away in some ways. Speaking about Russia, in your article that was in The Baltic Times and also on your website, you said the idea of separatism in Latgale is “a phantom”, but then you said it could be – not possible – but that if Riga continues to ignore the problems, there is a danger. Do you really feel that? JV: If I’m honest, then no. JV: Sometimes I don’t see how I can explain to our government. So were you saying that to shock the government? JV: A little bit, because they should start thinking about Latgale region. Theoretically, it is possible. Practically, I don’t think so. I don’t want to allow myself to think about it. I don’t want to get this idea in my mind. Because come on, my home is just 20 kilometres from the border with Russia. As I said once in Parliament, I don’t want the same story like [Nadiya] Savchenko had in Ukraine, when somebody came – she was also a parliamentarian. Someone could come and take me. That was the reason I said it, because if it happens to someone… But I don’t think they will do it, because we are in NATO and other stuff. But yes, sometimes I feel that I’m just one member of parliament; I’m trying to involve other colleagues, but still we are just fifteen from Latgale region – fifteen out of a hundred. And of these fifteen, seven are from Harmony Centre (Saskaņa), which has a contract with Putin’s party. So, sorry, I can’t be sure that I can cooperate with them. Do you ever cooperate with them? Do you think they don’t want to improve the situation, maybe? JV: No. I don’t want to talk about them. MM: Can I add about this separatism thing: overall, it seems the public perception, especially in the western part of Europe, is that you need to have considerable numbers. Whenever you talk about separatists, you need to talk about considerable numbers. But actually as Russia showed in Ukraine, it’s not the case. The things is more about – you will always have enough numbers; you will always have a couple of hundred who you can coerce or who you can buy or who are just really unhappy. With them, it’s enough. For the others, it’s enough if they just don’t do anything, if they just stand by – as we saw in eastern Ukraine. The majority just stood by; they didn’t care. And the Estonians are talking about the same thing in [majority-Russian border city] Narva. You see on a daily basis, even if they go there to buy Russian fuel or something, they still see what life is like there. What do you think would happen – and I should emphasise that I thought this was a ridiculous programme – if there were suddenly Russian activists in Daugavpils or Rēzekne, or wherever? What would people do? Do you think people would resist? MM: I can’t be objective; I’m a member of the Zemessardze (the National Guard – a volunteer paramilitary organisation). JV: This is what you said: in Latgale you don’t feel this conflict between Latvians and Russians. It’s the same thing that I was saying. Here in Riga, I feel a bigger level of conflict. So I think that the biggest level of danger comes from Riga, not from Latgale region. Yes, we have some people; there are some people in Rēzekne, in Daugavpils… But one of my friends told me that the majority of them will do nothing, so it’s a good signal to everyone. Yes, of course, there will always be some who will say “welcome Russia, we want to be a part…” But these are a small number. Would there be any Latgalians who would be pleased [by a Russian invasion] or would it only be local Russians? JV: I don’t know anyone personally who speaks Latgalian who would say something like that. I don’t know anyone. MM: I would go back to history a bit in that respect as well. Not many people know that actually, but actually after the Second World War, when we had the resistance – the forest brothers – carrying on. Within Latvia, the total number was – historians put it – around 20,000. Of those, 10,000 or half were in Latgale. Although Latgalians were not so anxious to join up with the Legion – the German Legion. So the culture is that we stay among our own, but it’s a border region for a reason – and it’s still sort of a Latvian border region. Being there and being on the border with the Russian state for 800 years. You never know. It’s not popular in any small nation – Estonians are the same – it’s not popular to brag about something – that you are going to do. People don’t want to think about it. But when it comes to the critical moment, there shouldn’t be too much of a worry about what they are going to do. JV: I think all of my friends would go to Latgale and would go into the resistance. OK, some would escape, but I think mostly they would do this. MM: And this is where I think our neighbours have failed a bit. If at the beginning, maybe 5, 10 years ago, they could still pretend it’s about the Russian world or Russians, etc. Then now it would be the smart thing to emphasise, for our government or whoever: it’s not about the Russians, it’s about Putin, Putinism, something like that. If you put it that way, then you don’t have a problem with even Russian-speaking people. MM: Of course, why should it be [attractive]? He’s just another guy; we’ve had plenty of those through history. Is it something that keeps you awake at night? JV: No, I try not to worry about anything in my life. Because when it comes, then I will start to think about what we should do, how we can react. So far, I’m trying not even to think about it. MM: For me personally, it does. Because I used to be part of the military, and now I have rejoined. Do you think Latgalians feel more of a connection to Lithuania? Because you’re both Catholic, and you were in the same state for a long time. And I know at one time [after World War I] Lithuania wanted to claim Daugavpils and Ilūkste. JV: Yes, the whole Latgale region. No, but we say one of the ways to solve all problems – maybe some time we will say “come on, Latvian government, if you don’t want us, we will go to Lithuania”. But of course it’s some kind of game, because it’s been such a long time that we are in the same country. We never were Lithuanians, actually – Latgalians. JV: Some words you can find that are closer to some Lithuanian dialects that are close to our borders, but basically no. MM: It’s more – when they talk about the Baltic languages, they say that Lithuanian is more archaic, because it had less of a western influence. We had the Germans coming in and ruling here for a while [in the rest of Latvia apart from Latgale]. In Latgale, being part of the Polish-Lithuanian Commonwealth, and being less influenced by the western world, it also has preserved some of those [archaic features]. So for me personally, it’s not particularly Lithuanian. There’s not more of a connection to Lithuania than anywhere else in Latvia.